Full Dark City Press is about to release our first publication, and I can’t be more excited about it. 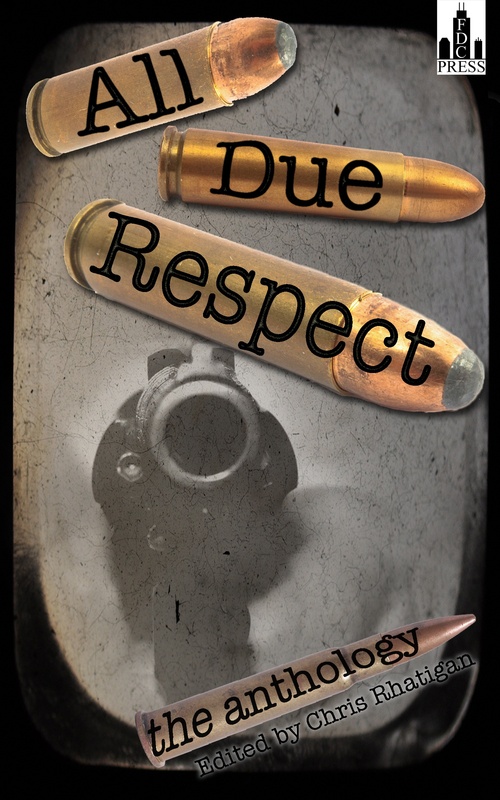 All Due Respect has made a name for itself as a hard hitting crime fiction publication. As the website says, these are not stories bemoaning crime or solving crime. They are about criminals doing bad things and boy does this e-zine get it right. ADR has blown me away every month with stories about people we all hope we never have to meet. The anthology has pulled stories from the website as well as some original work that will be seen in this collection for the first time. The stories are dark, seedy, and populated by some pretty desperate and sick individuals. FDC Press is proud to publish this collection and share it with the world. The e-book will be available in the next couple of weeks, and a print edition will follow. The cover was created for us by the very talented Eric Beetner, and below is the lineup of authors who splattered their guts onto the page to write these short stories for your enjoyment. It’s a pretty sick lineup, and we hope you’ll like it. This entry was posted on January 8, 2013 at 9:52 am and is filed under Uncategorized. You can follow any responses to this entry through the RSS 2.0 feed. You can leave a response, or trackback from your own site.